Chelker Reservoir was built in 1866 to provide water to the Bradford area and is situated close to the A65 between Addingham and Skipton. 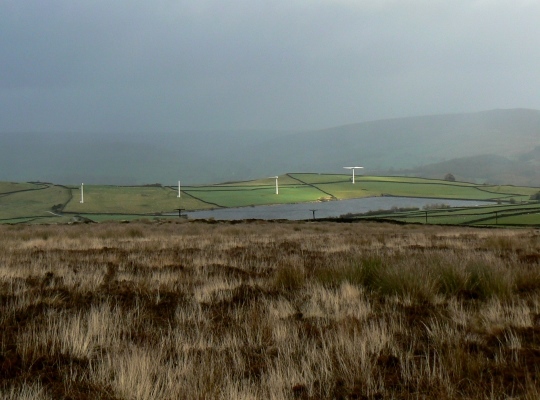 In 1992 four wind turbines were erected in a pasture immediately to the north of the reservoir by Yorkshire Water. Known as Chelker Wind Farm this was just the third wind farm in the country to be created. 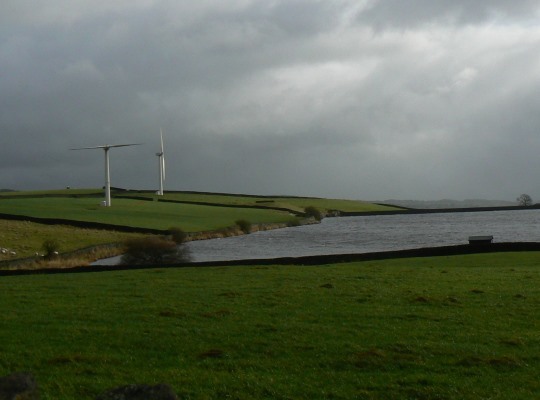 The wind farm was directly linked to the reservoir as the power generated by the turbines was used to pump water up to the reservoir from the River Wharfe. In 2013 the wind farm became the first in the country to be decommissioned after approval to expand the wind farm was refused. While the A65 passes directly along the south side of Chelker Reservoir there are no public rights of way to the reservoir itself, though it can be seen well enough from nearby paths. At least that is the theory as I saw very little of the reservoir on my first visit in 2005 due to low cloud and rain. I had better luck on my second visit in 2009 although in truth this is a reservoir that I think looks better from a distance. 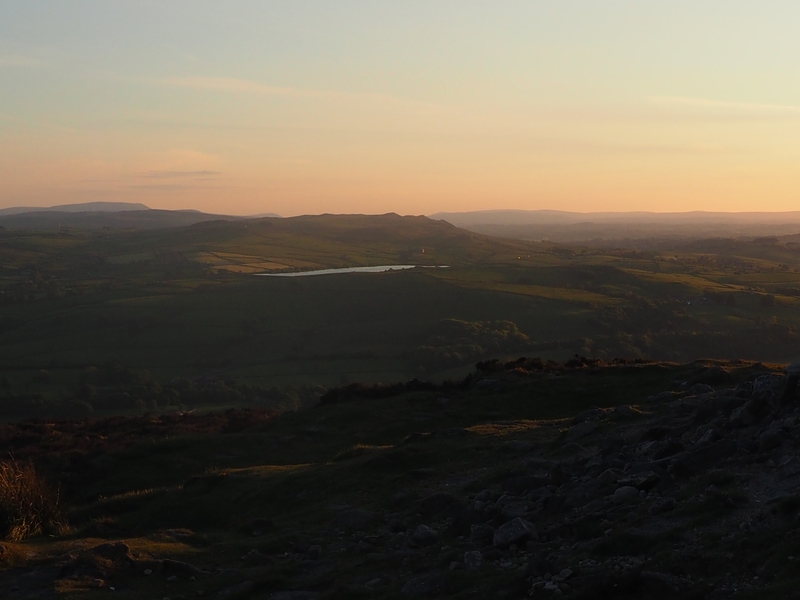 The view of it from Beamsley Beacon is particularly fine.